The only new addition to the Carnegie scale model dinosaur collectibles range in 2012 is a 1:50 scale model of the huge herbivore Brachiosaurus. This striking replica has been much anticipated by dinosaur model collectors and it does not disappoint. As well as depicting Brachiosaurus as a much more colourful dinosaur, this model also reveals the latest scientific thinking with regard to how this huge dinosaur held its neck. There has been a lot of debate recently amongst palaeontologists as to the exact taxonomic classification of the Brachiosaurids. Fossils collected by a German led exhibition to the Tendaguru Formation in what was then German East Africa (now Tanzania) in the early 20th Century; led to the establishment of the Brachiosaurus genus. However, the species ascribed to these fossil remains (at least thirty-four individual Sauropod dinosaurs have been excavated from the Tendaguru Formation), the species originally described as Brachiosaurus brancai, has been re-named as Giraffatitan brancai. Scientists have identified a number of anatomical differences between the East African remains and those ascribed to the Brachiosaurus genus that have been excavated from the United States and so a re-assessment of the Brachiosaur fossil material has taken place leading to the establishment of a new genus – the Giraffatitans. Although Brachiosaurus may be one of the best known of all the dinosaurs, fossils of this huge reptile are extremely rare. What fossil material that has been found in America, for example, is extremely fragmentary and scientists still debate how big this animal was. Some palaeontologists have estimated that the largest individuals could have weighed in excess of fifty tonnes, but a recent study by the University of Manchester lowered this estimate to around twenty-five tonnes. Against this backdrop, the designers at Safari Ltd have introduced a scale model of an American Brachiosaur. We suspect that this is a model of Brachiosaurus altithorax, one of the better known members of the Brachiosaur genus, whose fossils have been found in the western United States. It is a very striking model. Most Brachiosaurus dinosaur models are coloured a dull brown or elephantine grey, but not this new replica from Safari Ltd. Their Brachiosaurus is painted with patches of light and dark green with a band of bright red colouration running from the top of the head down the back to the base of the tail. Such a large animal, (scientists estimate that this species of Brachiosaurus was at least twenty-three metres long when fully grown), would have had little need for camouflage. When fully grown adult animals probably had no natural enemies, they would have been too large for predatory dinosaurs to attack. 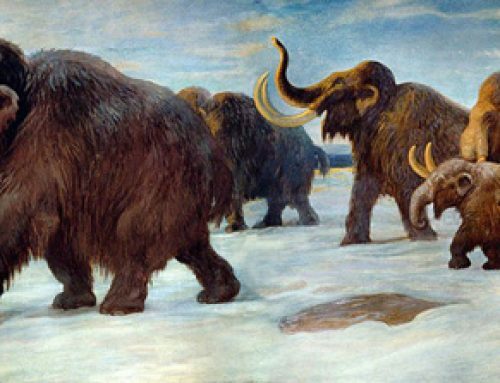 Although size-able land creatures today such as elephants, tend to be grey in colour, there is no reason to suggest that large animals that lived in the past had to be the same colour. The colour scheme chosen by the design team at Safari contrasts with many of the other Sauropod models currently available. The model measures nearly fifty centimetres long, making it one of the largest replicas that Safari Ltd have ever made, it is truly an impressive piece. Interestingly, this Brachiosaurus replica is not posed with the typical “swan-like” neck. The neck of this dinosaur model is held at a much lower angle in relation to the rest of the body. Some palaeontologists have questioned whether the necks of these enormous dinosaurs were held so high. Although, the neck was probably more flexible than a giraffe’s (Brachiosaurs had at least twelve bones in their necks compared to just seven in a giraffe), it is not known at what angle the head and neck were held. A more modern interpretation of this dinosaur, based on analysis of cervical vertebrae and the shoulder bones suggests that the head was carried much more forward of the body. In this stance, some of the issues raised concerning how Brachiosaurs were able to pump blood up to the heads several metres above their hearts are negated. This is a fascinating model, a more modern interpretation of a famous dinosaur and one that will impress dinosaur model collectors for its sheer size, the choice of markings and the new position of the neck.